Olympus U-LH100HGAPO Fluorescence Mercury Light Source 100 Watt Microscope . New Life Scientific, Inc. 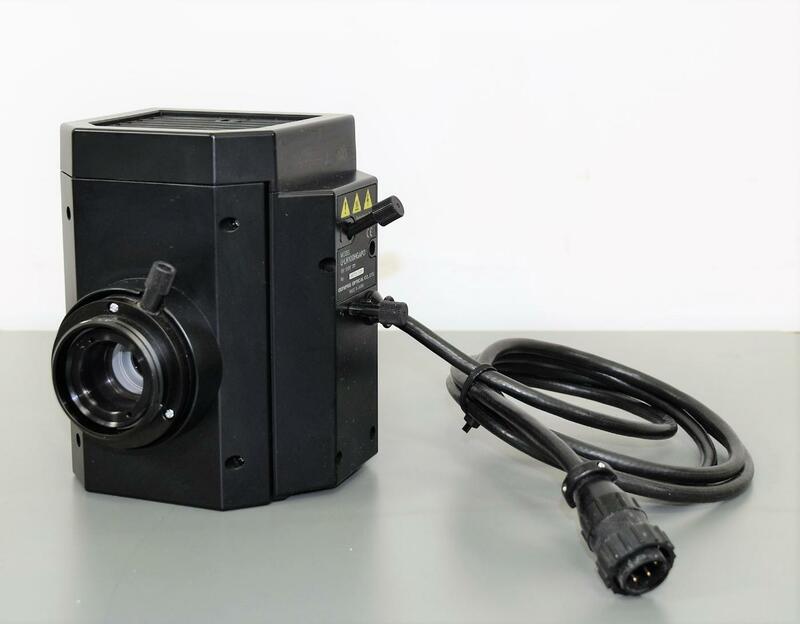 This Mercury light source is a cost-effective and a powerful entry-level 100 W fluorescence light source. The broad emission spectrum enables a range of fluorescence imaging experiments to be conducted using all common fluorophores. This is an untested light source and the lamp may need to be replaced before using. It is a 100 W Mercury discharge burner. This product is untested but was inspected by our technician and is backed with a working guarantee. It is in great cosmetic condition.